"You left clues everywhere…" IFC has debuted the first official trailer for an intriguing psychological thriller titled Kaleidoscope, from writer/director Rupert Jones. The film stars Toby Jones as middle-aged man just released from prison. The film is apparently about his relationship to his mother, and asks the question: "is it possible to escape our past?" The cast includes Anne Reid, Sinead Matthews, Manjinder Virk, Karl Johnson, Deborah Findlay, and Frederick Schmidt. This looks like a creepy, mysterious head-trip kind of film, but actually quite good with seemingly lots of twists. Per the description: "At the heart of this modern day Psycho are some unsettling questions: Can we ever escape the role in which we are cast by our early circumstances? Must a perpetrator first be a victim?" This trailer is definitely worth checking out. This intense, twisty thriller unfolds in the darkest corners of a man’s mind. Recently released from prison, mild-mannered Carl (Toby Jones) quietly attempts to move on with his life. Just as he embarks on his first date in 15 years, Carl’s fresh start is shattered by the sudden reappearance of his domineering mother (Anne Reid), whose presence awakens within him a deep-seated trauma. What unfolds is a brain-warping puzzle as reality and illusion, past and present collide and explode in violence. 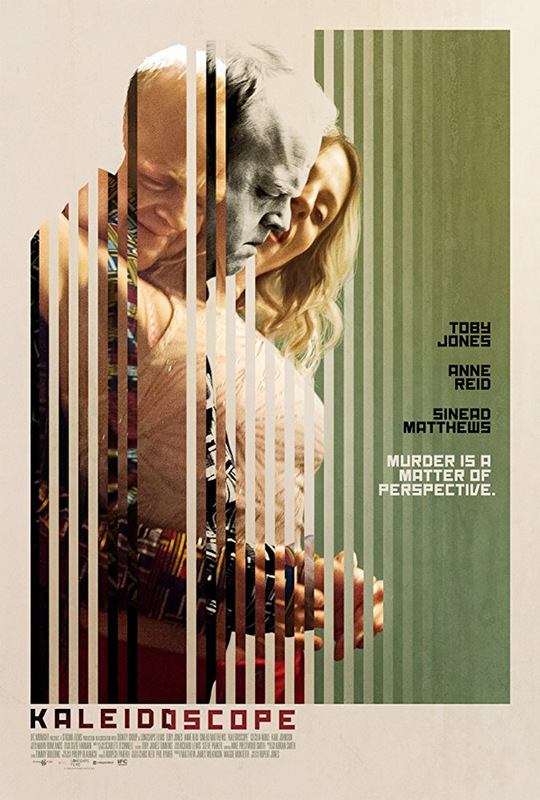 Kaleidoscope is both written and directed by English filmmaker Rupert Jones, of The Answer to Everything and a few short films previously including The Sickie with Toby Jones. This first premiered at the Chicago Film Festival, and also played at the Edinburgh Film Festival. It opens first in UK theaters on November 10th. IFC Midnight releases Kaleidoscope in select US theaters + on VOD starting December 8th this year. Who's interested?